Hamilton-St. Catherines RFID | GAO RFID Inc.
From our head office in Toronto, GAO RFID has been consistently delivering RFID solutions to customers in Hamilton to St. Catharines. Located on the western cusp of the Golden Horseshoe, Hamilton is at the centre of Ontario’s industrialized region. Over the past decade, the city has been undergoing a gentrification of sorts. Famously known as Steel Town, Hamilton has been trying to rebrand itself: And let Canadians know it’s more than just a manufacturing hub. Once viewed as a place where working-class families struggle to get by, the city has undergone a revitalization of its downtown core. Boutique retail, high-end dining and a vibrant artistic community are just some of the scenes you’ll now find in Hamilton. Priced out of the Toronto housing market, young couples are heading west on the QEW in search of cheaper housing. Hamilton is home to some of Ontario’s biggest attractions, including the Royal Botanical Gardens and the Canadian Warplane Museum. And no acknowledgment of this city would be fair without mention of McMaster University and Mohawk College. Heading a bit further east, the QEW is dotted with the wineries and B&Bs of St. Catharines. The largest city in Canada’s Niagara region, St. Catharines is at the heart of wine country. It is famousy known as ‘The Garden City’ because of its extensive network of trails, parks and lush greenery. Its surrounding communities include the town of Jordan, Vineland and Niagara-on-the-lake. It’s in these areas that Ontario’s tourism industry thrives. Visitors to Toronto will often make daytrips to this popular region. And alternatively, Torontonians will head to the same place for weekend jaunts and country getaways. Jackson-Triggs, Peller Estates and 20 Bees are just some of the country’s most well-known wineries. After a day touring vineyards and cycling on the Niagara Parkway, many people will head further west to the city of Niagara Falls. Here, they’ll hit up Fallsview Casino and even cross the border to Buffalo, New York for some shopping in the U.S.
No doubt tourism and manufacturing are the main industrial pillars of Hamilton and St. Catharines. GAO RFID is a keen supporter of this region’s economy, and we’re proud to say our solutions have contributed to some of its success. Read on to see how our RFID applications continue to help these two important sectors. With GM Canada and TRW Automotive both located here, it’s no surprise the manufacturing sector remains one of the region’s biggest employers. And you can bet where there’s manufacturing, GAO is always close by. When it comes to merging RFID, our company is the superior choice. 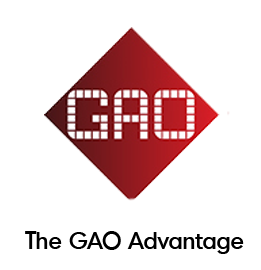 Using only the most innovative technologies, GAO is able to streamline manufacturing operations — no matter how big or complex they may be. Many of our manufacturing clients face challenges when it comes to managing their workforce. Some assembly lines require hundreds of employees per shift. Organizing and monitoring them can become a logistical hassle. But thankfully, GAO has a series of RFID innovations that work seamlessly with our WIP System. So be sure to inquire about our People Tracking and Access Control solutions as well. As mentioned earlier, visitors are always eager to explore the Hamilton-St. Catharines region and its nearby towns. Each year, thousands of sports fans descend on Tim Horton’s Field to cheer on the Hamilton-Tiger Cats — one of Canada’s leading CFL teams. Meanwhile, tour buses pull into Niagara Fallsview Resort every weekend — packed with tourists looking to wine, dine and gamble at one of Ontario’s most exciting venues. Nobody likes surprises on event day, which is why our RFID solutions tackle issues before they crop up. Because security is our top priority, GAO’s Event Management System is one of the leading brands in this field. From monitoring your guests to protecting your valuables, it’s all possible under this vigorous framework. 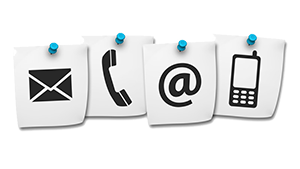 If you’d like more information on GAO’s RFID Tags and Readers, simply get in touch. Our team of certified RFID professionals are committed to your satisfaction every step of the way. Our client’s success is what drives us to perform better all year round. From the initial consultation to performance monitoring, maximizing your potential is our top priority. We look forward to hearing from you soon.